The race for the play-offs in the Bostik Premier looks like it will go right the way down to the final day of the season. Haringey Borough who are currently on a points total of 71 are guaranteed play-off football as only Carshalton Athletic and Tonbridge Angels can finish above them. Mathematically both Enfield Town and Lewes could make but would have to rely on Bishop's Stortford, Worthing and Merstham picking up no points in their last two games so realistically it's between the teams in 3rd down to 9th in the race to finish 3rd, 4th and 5th. In the race to stay out of the bottom three it's Whitehawk who currently sit above the dotted line. 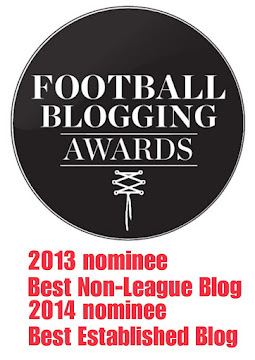 It's any three from those four teams who will go down - Wingate and Finchley v Burgess Hill Town on the final day of the season could be a winner takes all game? It was a glorious day for Biggleswade Football Club as the first team won the Spartan South Midlands League Premier Division title with a 0-3 win at Stotfold and their reserve side won the Bedfordshire County League Division One title with a 0-4 win at Lea Sports PSG. The first team's game was watched by a decent crowd of 185 people and it was the visitors who looked comfortable throughout the game. Tom Cookman was a complete menace to Stotfold's back-four until he was substituted on 78 minutes. His work rate was rewarded when his sublime turn in the box and shot past Matt Fallon in The Eagles goal put FC 0-1 up on 23 minutes. Central Defender Benat Pena then put his side 0-2 up with a close range header just before the break. In the second half on a extremely hot day it was the visitors who were dominant and took a 0-3 lead with Lee Northfield's impressive shot from outside of the box. The final whistle was greeted with scenes of celebration from the players, coaching staff and supporters of the team which was only formed in 2016. I'm sure that there would of been more than a few hangovers in that corner of Bedfordshire this morning. It's a tremendous achievement for the club - I'm sure they'll do very well at Step Four of the non-league ladder next season if they can keep hold of their current crop of players some of whom I think could play at an even higher level. Their nearest challenger's Tring Athletic had been 1-2 up at Cockfosters with the match drifting into injury time and 'Fosters looking down and out. George Beattie thought otherwise and netted for the home side to keep them in the battle to stay out of the bottom two as shown below. FC have the chance for more silverware on Wednesday evening when they play local rival's Baldock Town in the SSMFL Premier Division Cup Final at Langford's Forde Park before their final league game of the season at Arlesey Town next Saturday. They then play SSMFL Division One side Ampthill Town on Tuesday 30th April at Bedford FC's McMullen Park in the North Beds Charity Cup Final. With the title race over the focus next weekend shifts to the battle to beat the drop where two of four teams could finish in the bottom two and what a game there is as London Tigers play Cockfosters where all sorts of permutations are possible. The fact Stotfold have a chance of staying up is remarkable and full credit must go to Manager Marce Collington and his coaching staff as when they came into the club in December The Eagles hadn't won a league game! It is with regret that LGCE FC has received notification from the FA that the Club will not be considered for promotion to the Spartan South Midlands League as the ground does not currently meet the criteria for this step up. Work has started to bring the ground up to the required level and is expected to be complete by the end of May (well in advance of the 2019/20 season) but this will not be considered by the FA despite a recommendation by the league to allow us this time. As a grassroots club, LGCE FC have over 550 youth players from under 6 through to under 18 and provide to our community. The club is run by around 100 volunteers who give up their time for these children to play football every week. Our club has grown organically over 40 years and is one of biggest and best in Hertfordshire. 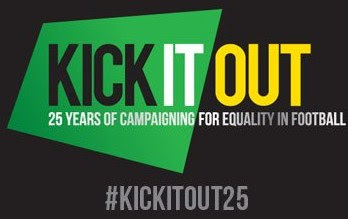 Promotion for our seniors would have meant that we could continue to grow and provide even more opportunities for local children so the decision is disappointing for everyone connected with the Club. The Eagles, still unbeaten in league games, currently need five points to secure the Herts Senior County League Premier Division title and have the following games left to play. If you are local to the club please pay them a visit in their last home game of the season this coming Tuesday and show them some much needed support - they could even win the league on this night. Biggleswade FC's 0-3 victory over Harpenden Town last night has given them the chance of winning the title at Stotfold on Saturday afternoon in the SSMFL Premier Division. It's a very interesting local derby as their opponents really need a win or a point in the battle to beat the drop. In a interesting quirk Tring Athletic, who are the only other side who could win the title, go to bottom of the table Cockfosters who know a defeat or draw would all but likely relegate them from the Premier Division. London Tigers and Leverstock Green who are the other sides involved at the bottom of the division will be looking to get positive results agianst Edgware Town and Hadley. Leverstock's last league win came back on Saturday 9th February when they won 1-2 at Wembley. There is one game tonight as a larger than average crowd is expected for the local derby between Biggleswade United and Potton United at Second Meadow. Biggleswade FC narrowly won 0-1 at London Tigers tonight to go back top of the Premier Division. They play again on Thursday evening at Harpenden Town and then travel to Stotfold on Saturday. As it stands two victories in these games would give them the title and promotion to Step Four of the non-league ladder - I'm sure all involved will be taking it one game at a time. Tring Athletic travel to Cockfosters with Hadley, who are now the outsiders of the three for the title, going to Leverstock Green on Saturday in their next games. Real Haynes are based in the Bedfordshire village of Haynes which was only a short distance for their opponent's Shefford Town and Campton A to travel on Monday evening. The A's 1-2 victory puts them above Real who have two games in hand. Bedford Albion Reserves, who are currently second, had a good 1-5 victory at Wixams Wanderers which puts an end to the A's hopes of finishing second. Real Haynes still have an outside chance but will probably have to win all four of their remaining games and hope both Albion Reserves and Thurleigh trip up in some of their matches. 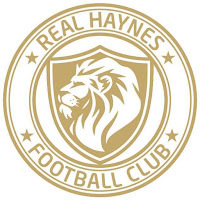 Real Haynes Reserves are in the same division as their first team but are rock bottom of the table having lost all twenty-five of their league games so far including 5-0 and 16-1 defeats against Real Haynes. This Saturday there is a chance to watch two games at Haynes Village Hall as the firs team host Lidington United at 1.30pm followed by the reserves at home to Stevington Reserves. In future years 'Shefford Town & Campton' may well be the answer to a quirky quiz question as they could be the only team to win a league title twice in a season! They won the Bedfordshire County League Premier Division last weekend and again after yesterday's 1-1 draw at Marston Shelton Rovers. After their title rival's Cranfield United drew 0-0 at Crawley Green Reserves last Saturday it put Shefford on 61 pts and Cranfield on 57 pts with one game to play which gave Town the title. However, Crawley Green played an ineligible player so the game was awarded to Cranfield putting them on 59 points so the league title race was back on for yesterday's final league games. It was tough trip to in-form Marston Shelton Rovers for Shefford. Prior to yesterday's game they had lost only two of their last fifteen league games. 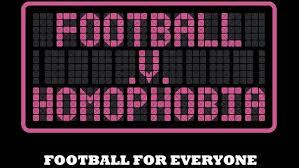 It was a scrappy game played at the home of Wooton Blue Cross that Marston took the lead in when a free kick was launched into the box and headed into his own net by a Shefford player. They then equalised with a shot from close range to make the half time score 1-1 which was enough for the league title providing Cranfield United didn't win in their game against Riseley Sports by a margin of twelve goals. The second half didn't have much goal mouth action of note with only one of note when Marston hit the post towards the end of the 90 minutes - a goal which would given Cranfield the title as Marston would of won 2-1. So in the end Shefford Town & Campton won the title on goal difference and will be promoted to Step Six. They will more than likely compete in the Spartan South Midlands League Division One for the 2019/20 campaign. The original Shefford Town played in the South Midlands League from 1962 to 1994 when they folded. They were reformed in 2009 merging in 210 to form Shefford Town and Campton. Cranfield United, who resigned from the SSMFL at the end of the 2012/13 season, and played in Division Two of the Bedfordshire County League in 2013/14 will look for promotion and the league title next season. They won their game 5-1 against Risley Sports. Shefford could complete a double this coming Thursday when they face Wilstead in the Britannia Cup Final at Kempston Rovers.